“Most older Americans take multiple medicines every day. But a new poll suggests they don’t get – or seek – enough help to make sure those medicines actually mix safely. 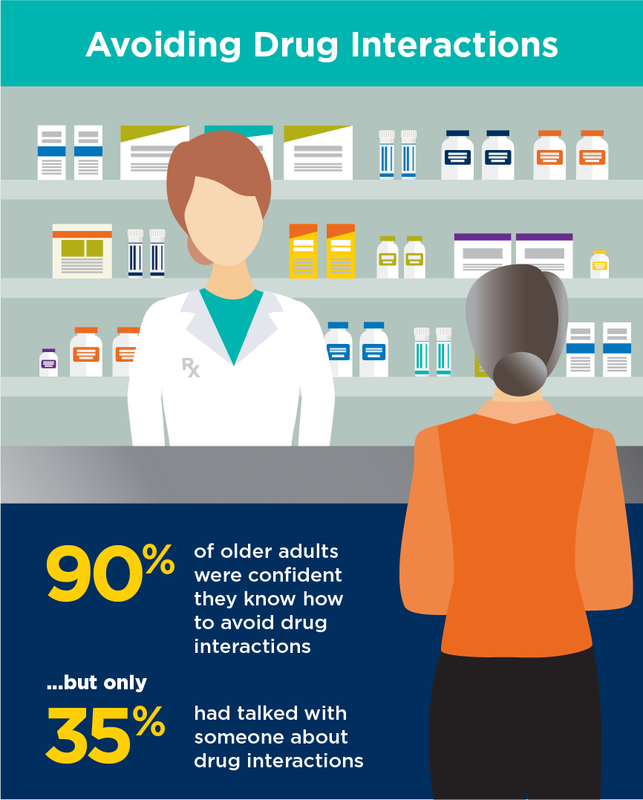 “That lack of communication could be putting older adults at risk of health problems from interactions between their drugs, and between their prescription drugs and other substances such as over-the-counter medicines, supplements, food and alcohol. “The new results, from the National Poll on Healthy Aging, show that only about one in three older Americans who take at least one prescription drug have talked to anyone about possible drug interactions in the past two years. Click here to continue reading this article and to download the full report.